Unsatisfied Social Media Users Speak Out But Will Facebook Listen? Ask the question and most people will have an opinion on social media. The rise of Facebook and other networking platforms has changed the way we communicate forever, so it’s no surprise that we’re making ourselves vocal on the way they work. 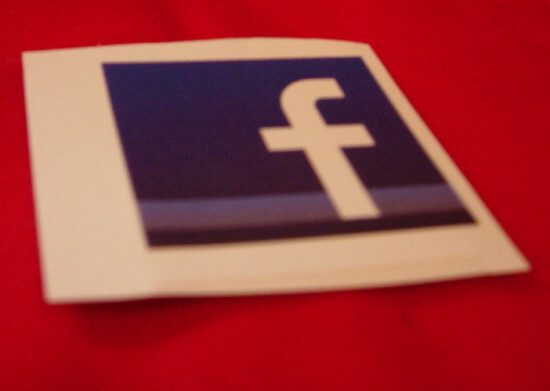 Statistics show that in April this year, 1.28 billion people were using Facebook each month. A massive 757 million of these people are daily users, but a report this week from the American Consumer Satisfaction Index (ACSI) shows a large percentage of these daily users are more than unhappy with their experience. Each year the ACSI reports on customer satisfaction across all industries, and the 2014 results for social media are not looking good. Companies like Facebook, LinkedIn, Pinterest and YouTube are rated at the bottom of the consumer satisfaction table when compared with other services, like airlines and Internet service providers. When asked why they were so unsatisfied and frustrated, social media users said they were concerned about privacy, or were simply sick of all the advertising. It’s worth noting that both Facebook and Twitter have recently made it possible for users to shop directly from their news-feeds, so online retailers have more access to consumer dollars. This may mean more advertising revenue for the social media giants, but it also means their audiences are being saturated with commercially driven posts and tweets. And if the ACSI report is correct, users are saying they don’t like it. It’s not all doom and gloom though. Despite the complaints, people are still using Facebook as much as we ever did and more and more people are looking for ways to boost your Instagram followers. In fact, a recent APAC report predicts another 4% in user numbers by 2015. But even if that subsides, there’s always another social media platform to fall back on. In this case it’s Pinterest that’s reaching its stride, after steadily building in popularity for the last few years. Recent changes to the search functions have increased usability and Pinterest is now rating at the top of the social media satisfaction index. But the biggest surprise of the ACSI report was the ranking of Google+. Once referred to as ‘the party with no people’ it may just be finding its second wind with a fourth place ranking. Love them or hate them, social media platforms are here to stay. Whether you are looking at your followers in Instagram or likes on Facebook, social media is a huge part of everyday life. Their good users are becoming more vocal about what they want from these companies, but until user numbers start to significantly decline, social media companies are unlikely to make any changes to the increasingly commercial nature of their sites. The study has since come under considerable criticism for its lack of upfront transparency, and potentially damaging effects. Attempting to minimize the negative perception of the study, Adam Kramer, one of Facebook’s researchers, claims the effects were actually quite small. Others have pointed out, however, the actual impact of the study is irrelevant, as final results could not have been known prior to its completion. 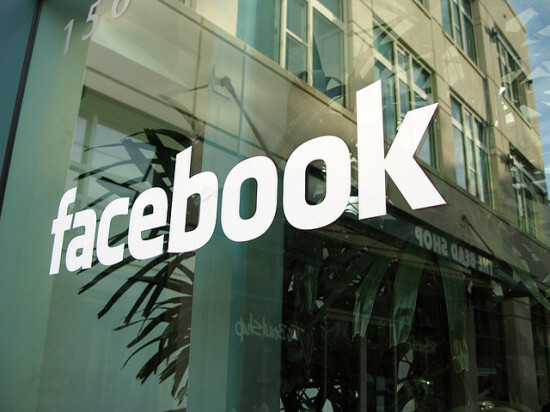 The complaint alleges that “at the time of the experiment, Facebook did not state in the Data Use Policy that user data would be used for research purposes.” EPIC argues the company, currently required to protect user privacy by a 20 year agreement with the FTC, conducted the study illegally and unethically. EPIC is not the only group attempting to take action against Facebook. Center for Digital Democracy director Jeffrey Chester claims he, too, has contacted regulators, and his group is also considering filling an official complaint. Currently, they plan to speak to the FTC during the next week about what they perceive to be a violation of law. If you live in an area populated by a lot of colleges, you know that mid-May means a lot of college kids move out of their dorms or apartments. This means that they usually throw out a bunch of furniture, appliances, or other items that they can’t bring home with them. 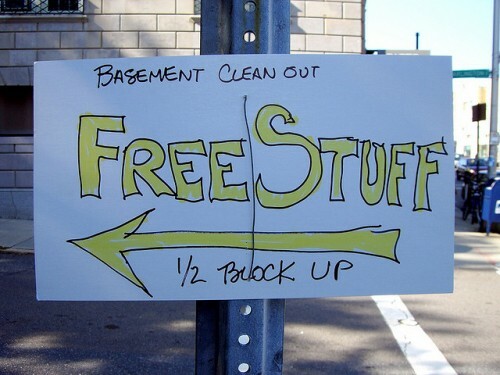 Looking at the streets near college dorms or apartment areas is a great way to try to find free stuff that is still in pretty good condition. Sometimes moving sales turn into people just giving items away because they need to get rid of them. Moving sales are very different from garage sales or yard sales because the entire focus is on getting rid of furniture or other items you don’t need. The free stuff is usually available at the end of the day and consists of the items that still haven’t sold. Garage sales are also another place to try to get stuff for free, especially if you time it so that you show up at the end of the sale. Most advertised garage or yard sales have designated selling times. Garage or yard sales are usually done so that people can clean out the items they don’t want anymore. Sometimes by the end of the sale you the people selling the items might be so desperate to get rid of certain items that they let you have them for free. While this isn’t the case at every garage sales, it happens a lot more than you would imagine. Have you ever driven by a piece of furniture on the side of the road? Maybe a nice bookcase or a desk or a set of table and chairs? A lot of people put used furniture that is still in decent condition on the side of the street because they either don’t want it anymore or have replaced it with newer furniture. Most of the furniture you find on the side of the street is in decent condition, so it’s worth stopping to check it out when you see a piece. After all, if it is in decent condition, you might end up getting a new bookcase or kitchen table! Freecycle is an online website that focuses on giving and getting free stuff for members. Membership is free and everyone who has signed up for the website posts free items that are available in their community. The purpose of the site is not only help members get quality items for free but also to keep stuff out of landfills and help eliminate waste. If there is something that you need, but don’t need it right away, it’s a great place to see if you can pick it up for free. It’s also a great place to get rid of stuff that still have a useful life, but you don’t need and don’t want to bother selling or throwing away. Craigslist is one of the best places to look if you’re trying to get almost anything for free. While a lot of people will attempt to sell the belongings they don’t want anymore, there are also a lot of people who use Craigslist to give away stuff they don’t want to sell or own anymore. These are often people who are moving away from an area and need to get rid of things quickly. The best thing about Craigslist is that you can search by state and narrow down each state by city or region. While Yelp is mainly a place to review and search out businesses in your community, it’s also a great social networking site. But every once in a while you can find a group dedicated to giving away free stuff or people looking to get rid of certain items they no longer want. While it’s not a surefire way to try to get stuff for free, it doesn’t hurt to browse the message boards for your respective city to see what items you might be able to find. Facebook Marketplace is a great way to find free items that people are giving away. A lot of people will list items they no longer want and, if you make sure to program your Facebook settings correctly, they’ll pop up in your feed as an alert. This is probably one of the easiest ways to search for free stuff in your location online. Best of all, there’s guaranteed to be a variety of items to look through. Social media is great for many things in this day and age, and fortunately, it’s also a great, new way to find out about people or businesses who are giving stuff away for free. Whether it’s a business having a special promotion or going-out-of-business giveaway or friends or friends-of-friends who are trying to get rid of items in their possession, social media can be your ticket to learning about how to obtain free items. The most tried and true method of getting free items such as furniture, clothing, appliances, or other items and services is through the Classifieds section of a print or online newspaper for your local community. Plenty of people still post notices for items they’re giving away in the Classifieds. After all, this was the original form of Craigslist before the internet existed, so when in doubt, check it out! Have you ever picked up free stuff from any of these venues? Please share your favorite place to score free things. We all want to save money. Unfortunately, many of the ways to save money available today require that you sacrifice at least a little bit of your privacy. Retailers, websites, and manufacturers want your personal information and information about your purchasing habits. Some of them want information about your health or family life. Your information is currency for these corporations. They can sell it to others and make money, and they can use it to market more products to you. They want the information. It’s up to you to decide whether or not the deal you’re getting is worth giving up a little bit of your privacy. Here are some ways that corporations are getting your information under the guise of giving you a deal. When you like a company on social media, or become a follower to get access to a coupon code, deal, or printable coupon, you’re giving the retailer access to the information from your profile on that site and potentially exposing your friends, too. They may get your email, see where you live, what you buy, who your friends are and what they buy and use, where you go and what you wear. If your profile is open and you post about every detail of your life, there’s nothing stopping the retailer from knowing that, too. Grocery and other retail loyalty cards give the stores access to your purchasing history. They also know how you tend to pay and, since you had to fill out a form to get the card, they know your address, email, phone number, and maybe your birthdate. If you do surveys and other offers at GPT sites, you’re likely providing information including your address, birthday, age, ages of other family members, and your likes and dislikes. While GPT sites can be money-makers, they are also among the worst about selling your information to anyone and everyone. Be aware that any deal that requires you to give out personal information to get is relinquishing some of your privacy. Any time you have to provide an email address, physical address, or phone number to get a coupon or a deal, you’re giving up your information in exchange. Many auto insurers now are willing to cut you a price break if you install a “black box” in your car that tracks how far you drive, where you drive, how fast you drive, and when you drive. This enables the insurer to see if you’re a speed demon, if you have a long commute, or if you park in a high crime area. The information may give you lower rates, but it can also lead to the cancellation of your policy if the insurers don’t like what they see. Many health insurers now offer discounts if you are willing to submit to special screenings, or if you complete their health assessments or wellness programs. In addition to the information they get from your doctor, this extra information enables them to determine your health level and risk factors. As with the black box in your car, your health insurer may give you lower rates, but they may also use the information to justify dropping you. Those sweepstakes and surveys you get at the bottom of your receipt often require at least an email address to enter. A sweepstakes on a retailers’ site may require you to create a full account including your name and address to enter. Those sweepstakes you see at trade shows may give you a small freebie for entering, but what they’re really after is your information. Not only do you sacrifice privacy by using many of these money saving tactics, you end up wasting more time, as well. Every newsletter, retailer, or coupon site that you give your email address to will send mail that clutters up your inbox. They, in turn, will probably sell your information to someone else who will send you even more email. If you give out your physical address, you’ll get snail mail. If you give out a phone number, expect telemarketing calls and texts (and if you’re on a cell plan where you have to pay per call or message, you’ll incur charges for this “spam,” as well). All of this requires time to deal with. Sure, you can give a spam email address or have the calls go to a phone you never turn on, but at some point you have to clean out that inbox or erase the voice mail and text messages. Cleaning out the digital clutter takes time. Some people argue that the answer to the privacy versus saving money issue is to give out bogus information. This only works to a point. If you’re signing up to receive coupons, you’re going to have to give them a valid email address so they can send the coupon to you. The same holds true with deals that will be mailed to you. Some retailers and marketers have caught on to the bogus information tactic and now validate the email or phone number you give them by making you answer an email or respond to a text before they will send you the deal. Even if you have a junk email account, you still have to wade through the crap to find the thing you wanted. This isn’t to say that it’s never worth it to give up your information in order to get deals. Sometimes it is. You just need to make sure that you’re dealing with a reputable company, that your information won’t be abused, and that you can live with the resulting spam, snail mail, and phone calls. Or, that you can live with the larger invasions of privacy that come from agreeing to be monitored by an insurer. 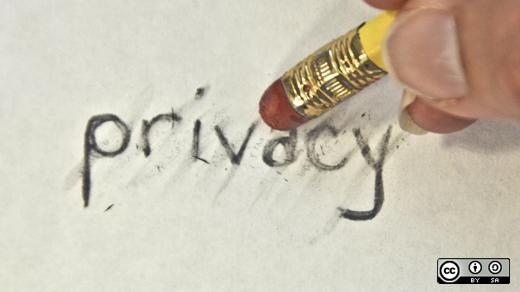 Take the time to read the privacy policies on the sites you’re using and read the terms and conditions on things like loyalty cards and insurance forms. Understand what information you’re giving away and how they will use it. Make sure it won’t be used against you at some later date. If you can live with their policies and the amount of money you’ll save is worth it to you, then sign up. Otherwise, let the deals go and keep your information to yourself. It’s widely known that many employers Google prospective employees in addition to the standard criminal background and credit checks. Most usually check out your social networking pages and any obvious name-mentions in the press. But what may not be as widely known is that some employers are going further. Whether they’re doing it themselves or hiring a third party to search you out, many employers are looking at everything they can find about you online, even things that go back many years. Even if you’ve scrubbed your social networking profiles clean, there are things that can be used against you. What does this mean? It means that nothing you do online is sacred and that things you may not even suspect can cause you trouble can come back to bite you. Here are some examples. A woman was denied a job because she advertised that she wanted to buy some Oxycontin on Craigslist. Other people have been tripped up because they were trying to arrange sexual encounters on sites such as Craigslist. Some people post pleas for financial/food assistance which paints a picture of a desperate person who might not be trustworthy. Posts selling items that are similar to what the employer sells may lead the employer to wonder if you’ll be stealing and reselling their products. Before you post any kind of want ad online, stop and think how it might look to a prospective employer. You may not want your employer to know that you’re a member of a certain religion or religious organization. But even if you don’t disclose it, your church or religious group may do it for you. Your name may be listed on a membership roster, in a newsletter, on sign up sheet for an activity, or on a donor’s list that gets posted online on an unsecured website. It might not be a problem if you’re just a regular Baptist or Catholic, but if you’re part of a fundamentalist group or something that’s viewed as threatening or radical, it could mean trouble. As with religious affiliation listed above, it’s not hard to find out about your political leanings. If you’ve given money to an organization or worked on their behalf, your name may be out there somewhere in a seemingly innocuous newsletter or donor list. This is particularly the case with local politics or fringe organizations. These often aren’t as careful about what is posted online as their major counterparts, although even the major groups can slip up. While you might not care if someone knows if you’re a Democrat or a Republican, things can get dicey if your affiliations lean toward the radical or extreme. Doctors, insurance companies and hospitals are supposed to take great care to secure their networks, but stuff sometimes leaks out. A few years ago a local hospital was hacked and personal information of patients was posted online. Although much of it was removed, traces can still be found by those dedicated to the search. The bigger problems come when you post on health-related forums (or post about your condition anywhere online) under your own name. If you’re posting about your cancer struggle under your own name, it’s not hard for an employer to find that information. They may not hire you because they wonder how your health struggles will affect your ability to work and how much you my end up costing them. It’s not difficult to put together a picture of an applicant’s socio-economic status based on online information. A street address can be mapped so an employer can see what kind of neighborhood you live in. Photos of your home, vacations, cars, or clothing add to the picture. An employer might want to use this information to determine if you’ll “fit in” at their organization or if you aren’t their sort of person. Is it stereotypical and wrong? Yes, but if someone wants to make a snap judgement about you, this is one way to do it. If you post under your own name on gay and lesbian forums, it’s not hard to discover that. If you’re listed in any gay or lesbian newsletters, organization membership lists, or activity sign ups that are posted online you can be found. Pictures of you at gay or lesbian events can reveal your preferences.The same goes for any other orientation. If you don’t want people to know your sexual orientation, be very careful about what is posted online. It shouldn’t matter, but to some employers it just might. Your membership in an environmental group, hunting club, gun group, activist organization, or professional groups that are known for causing trouble can cause you problems. Even if you’re not personally involved in trouble making or radical activism, you may be thought, “guilty by association.” As with the other items on this list, you can be found if any organization carelessly posts your name online. So what can you do? It’s almost impossible to completely prevent your name from getting out there, but here are some ideas for reducing the risk. make sure that it’s worth it to you because it is an employer may discover your memberships and activities use them against you. When you’re looking for a job, you need to see what employers are seeing. So Google yourself and spend some time on it. Follow the links deeper into the results. Don’t just look and say, “Oh, yeah, there’s my Facebook profile and I know it’s clean.” Dig deeper, look at the cache files and look at all the results. You can’t know what you’re dealing with if you don’t look. If you have things online that you think might cause problems, address them yourself during the interview. You might mention that you used to be a member of XYZ fundamentalist organization, but that you left five years ago. If someone with your same name is doing things that are questionable, mention that you know of another person who has your same name and that those are not your affiliations. It’s better to address things upfront than to let the employer form their own conclusions. They might just cut you without asking for explanations, so give the explanation in the beginning. Don’t use your real name or a variant when posting on public sties and forums. If you’re given the chance to opt out of having your information posted online, do it. Talk to your churches, political groups and other organizations about not posting anything about you publicly. If you find something posted and you want it removed, approach the organization and ask them to take it down (The information will still be in the cache files, but it will at least be harder to find). If your name dot com is still available to purchase, buy it. The cost for domain names is now less than $10 a year. Your name is your identity and do you really want someone else that happens to have the same name in control of what others may assume is you? Is any of this legal? Some of it is and some of it isn’t. It’s illegal, for example, to discriminate against someone based on their religious affiliation. But unless the employer admits that your religious affiliation is the reason you didn’t get the job, who’s ever going to know? You can be denied a job for any reason and never know why. Discrimination is illegal but only if you can prove it which is difficult, time consuming, and expensive to do. In days gone by an employer could only find out what you wanted them to know, unless you’d sone something big that would turn up in a standard background check. If you didn’t wish to disclose your religion, no one would find out. But now, through no fault of your own, your personal information may be readily available to be used against you. The bottom line is that very little about you is private any more. Does this mean that you should refuse to use the Internet? No, because you can’t do that in most cases. But it does mean that you need to be vigilant about using your own name when you post anything online. You also need to let the organizations you belong to know that you want to opt out of any online listings that they may use. No one else is going to protect your privacy. It’s up to you to do that so that you don’t end up missing out on a job because of something posted online.